This is one of my favorite statements ​and one of the biggest lessons I focus on teaching parents to use with their littles when dealing with anxiety. 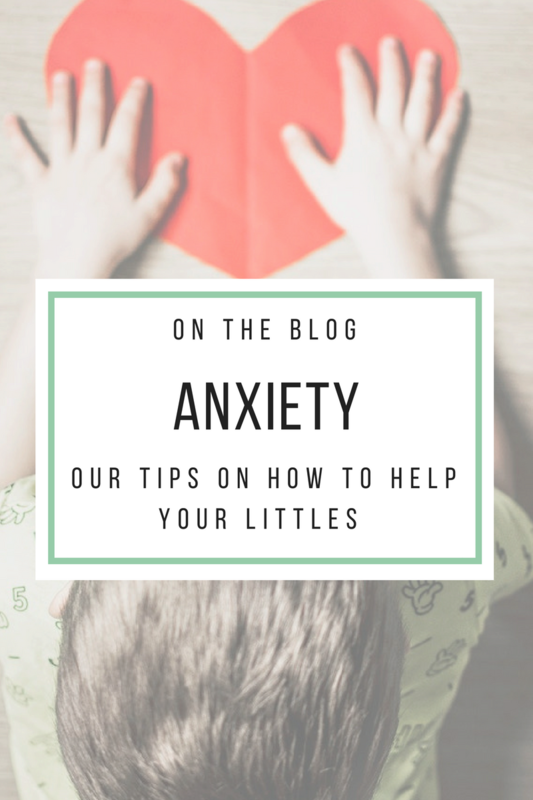 I often see parents and children for anxiety related struggles, and in particular separation anxiety. The kind of anxiety that presents itself when our littles need to be separate​d​ from us. As they grow, it is developmentally normal that they go out into the world without us. Preschool, daycare, play dates, sleepovers or transitioning between parents and caregivers in separated homes. ​The list of reason for them to be away from us is long. 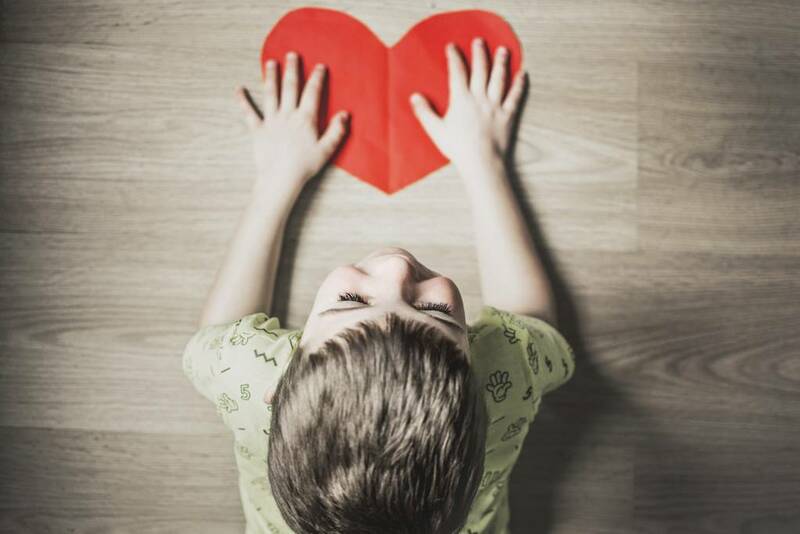 With that said, even though we are faced with these situations of separation, many children have a difficult time dealing with the transition and the time a part from their parents or caregivers. When I meet parents struggling with separation anxiety they are often worn down by the struggle and behavior that comes from the separation anxiety. Drop offs are hard, the ability to get a break and recharge is hard and often the behavior that comes along with separation anxiety has worn down their patience and they are not sure how to proceed. They themselves feel anxious before a separation as they know the event with be traumatic and their child will be upset. I work with my clients to put these three keys into action so that the child can learn healthy, positive ways to deal with their anxiety and in turn, the parents also learn how to better handle these situations with their little ones. The first tip that I offer parents is the idea that whenever we are apart we want to build invisible “bridges” in our relationship. Statements such as “I’ll think of you” or “I’ll dream of you” or “when we are back together we will ….”. These bridges help ease the attachment in separation. Another tip for anxiety is to avoid reassurance. Often, we want to tell our little ones that it will be okay or that they will be ok. Reassurance like this doesn’t actually comfort or offer a skill or idea to our child. Instead, we want to move to empowerment, working on messages such as “you are brave, and “you can do hard things” or “you will feel nervous and unsure, but let’s try some big belly breaths to calm those feelings”. Ideas like this give the child a “I can do it” message and something they can try to do to help themselves. Parenting is a hard gig. Parenting with anxiety is a tougher gig. 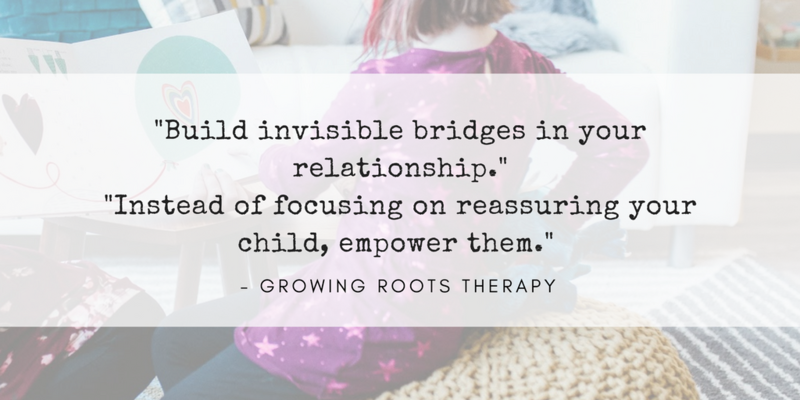 Our job here at Growing Roots is to support you as parents and support your littles in becoming their best selves. If you would like to learn more about how we can help with anxiety, please get it touch. We would love to chat and help your child overcome their anxiety today.